Members: Sign up for your 2019 work shifts here!! All work shifts are on Tuesdays. A CSA “core group” member will be present during each shift to help address questions or concerns. 2:00–3:00 p.m.: Unload. Meet the farm truck, unload full produce bins, and set up the distribution site. This shift requires heavy lifting and stairs. 5:15–6:45 p.m.: Open. Open and run the distribution site. Check in and assist members during pick-up. Weigh veggies and replenish stock. Wipe out empty bins. 6:45–8:30 p.m.: Close. Run and close the distribution site. Check in and assist members, weigh veggies, replenish stock. Break down and sweep the site; hand off unclaimed produce to our food pantry partner. This shift requires medium lifting and stairs. Do I have to sign up for work shifts? Yes!! We are a 100% volunteer-run organization. Work shifts are mandatory for all members. Sign up early to get your preferred time slots. Members who don’t sign up for or complete work shift(s) will be denied future CSA registration. If you can’t complete a work shift you signed up for, and it is 3 or ore weeks away, just log back into the work shift sign-up page to cancel your existing shift and choose an alternate date. If the shift is fewer than 3 weeks away, it is YOUR RESPONSIBILITY to find someone to work it for you! 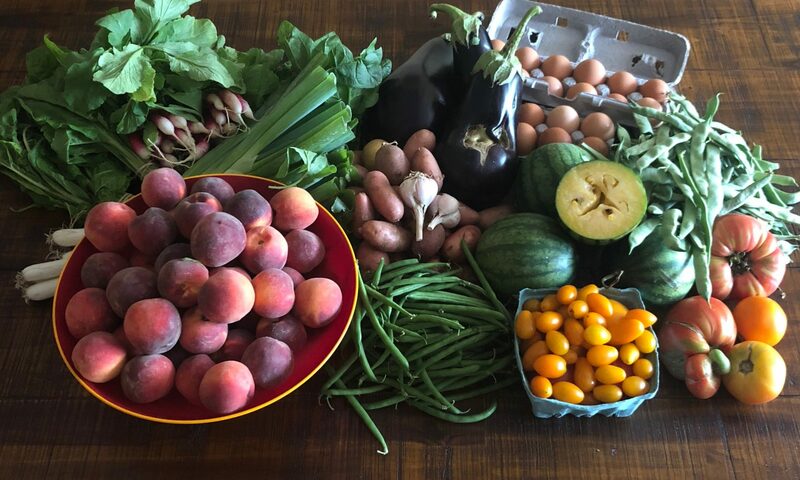 Send a friend, or swap shifts with another member through our Prospect Park CSA Google Group. Please reach out to our shift coordinator, Laura (lauragagnescheck at gmail dot com), if you’re having trouble finding coverage.